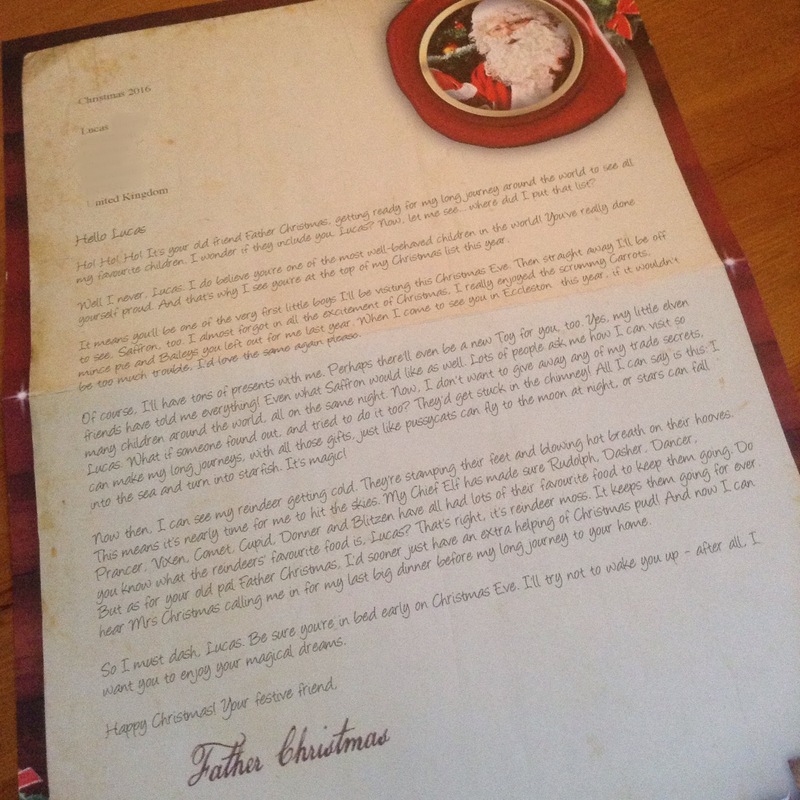 Lucas has recently received* a letter from Father Christmas (ssshhh…Lapland Mailroom). There are 3 letter packages at £7.95-£8.95. There is a Baby’s First Christmas, a beautifully personalised keepsake for your new baby to look back on time and time again. A letter or a letter and an activity pack. 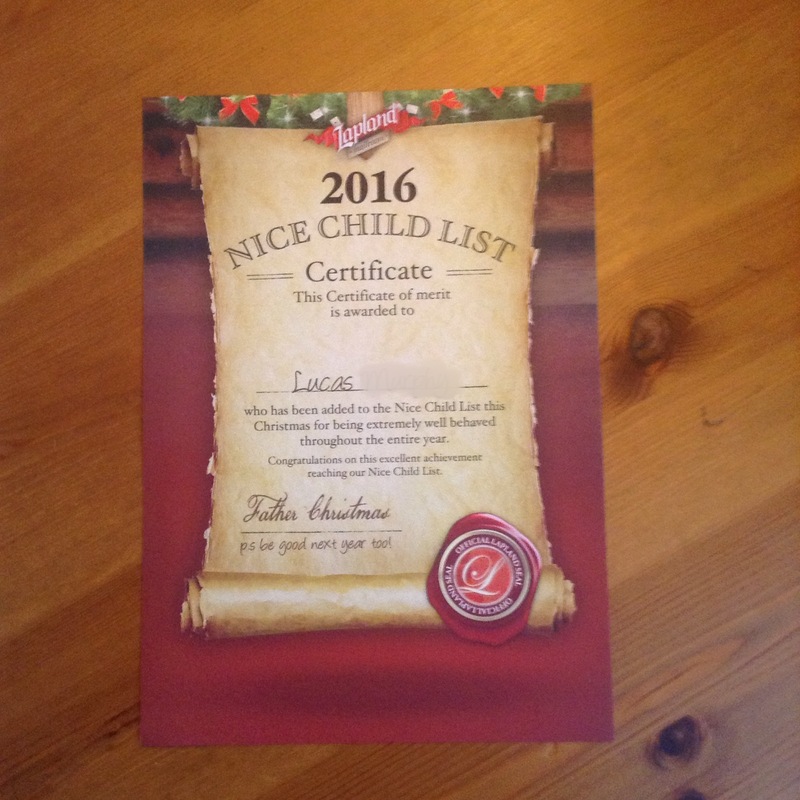 All the packages come with a free Nice Child Certificate worth £2.99. Lucas was sent the letter with certificate and activity pack. Once you have decided which pack you would like, you choose which letter you would like, there are three variations as well as the baby’s first Christmas. 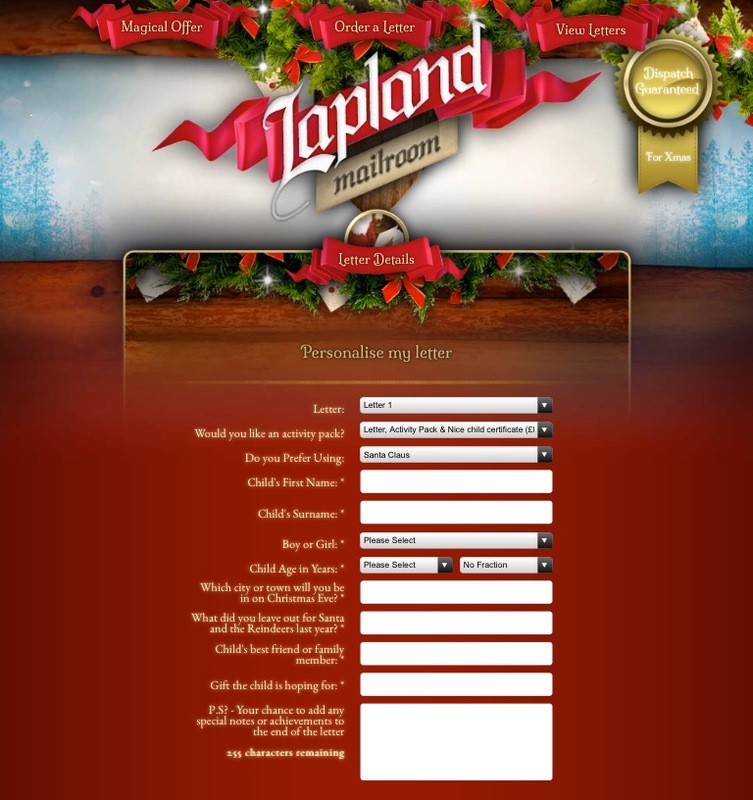 The website is easy to use and you simply fill in the personalisation details where applicable. I love that you can add other people, I added Lucas’ friends name into one of the sentences. I also love that the letters are individually addressed to the child. I know Lucas is too young to realise that at the moment but for older children it is lovely for them to get their own post. 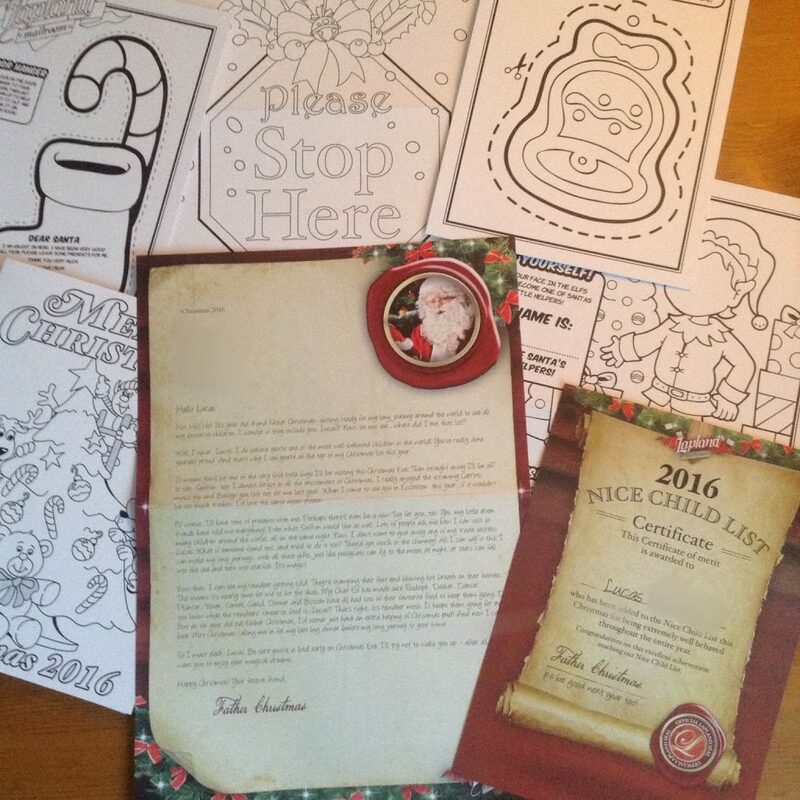 I thoroughly recommend the Lapland Mailroom, the letter is great quality and I love the extra touches with the activity pack and nice child certificate. We will be colouring the Christmas card to give to Grandma and Grandad as a keepsake for them. Just spending the day with my husband and daughter. Will be nice having Christmas off.. Spending time with my sister and brother-in-law who are coming over from the USA. We don’t see them very often.